It is imperative that every Jew know that he is an emissary of the Master of all, charged with the mission – wherever he may be of bringing into reality G‑d’s will and intention in creating the universe, namely, to illuminate the world with the light of Torah and avoda. This is done through performing practical mitzvot and implanting in oneself fine character traits. According to the great medieval Jewish philosopher and legal authority Moses Maimonides, teaching non-Jews to follow the Noahide laws is incumbent on all Jews, a commandment in and of itself. However, most rabbinic authorities rejected Maimonides’ view, and the dominant halakhic (Jewish law) attitude had been that Jews are not required to spread Noahide teachings to non-Jews. This blog post was born out of my reading of another “My Jewish Learning” article called The Do’s and Don’ts of Talking to Converts written by Aliza Hausman. I started thinking that if there are “guidelines” for born Jews relating to “Jews by choice,” maybe there are also “guidelines” for Jews relating to Noahides (how that relates to my primary audience will become apparent, so keep reading). The only reason I’m pursuing this is that there could be some application to the body of (Messianic) Jews relating to (Messianic) Gentiles within their midst. I put “Messianic” in brackets in the paragraph above because I think the matter has more to do with Jewish and Gentile relationships in general than the peculiarities of that relationship within a Messianic context. Aliza Hausman is a Latina Orthodox Jewish convert, freelance writer, blogger and educator. Currently working on a memoir, she lives in New York with her husband. There are things I still can’t believe people have said to me. Fresh out of the mikvah, I heard, “But you’re not really Jewish. I mean I’m still more Jewish than you, right?” Oy vey. In the end, all converts want to be accepted as good Jews. We want to fit in. Possibly the reason Jewish tradition goes out of its way to tell you to be kind to us is that there are so many ways you can make us feel left out. Meet Jim Long. A documentary filmmaker with striking blue eyes, Long recites blessings in Hebrew before eating, peppers his conversation with Hebrew phrases–a “b’ezrat Hashem” (with God’s help) here, a “baruch Hashem” (praise God) there–and keeps a household that is, to the untrained eye, traditionally Orthodox. Only Long is not actually Jewish, nor does he have any plans to convert. To Noahides, these seven laws are but a starting point, the foundation on which they’ve built a lifestyle of obligations and voluntary observances. The result is a life every bit as rigorous and all-encompassing as Orthodox Judaism, which guides and structures all aspects of their existence. 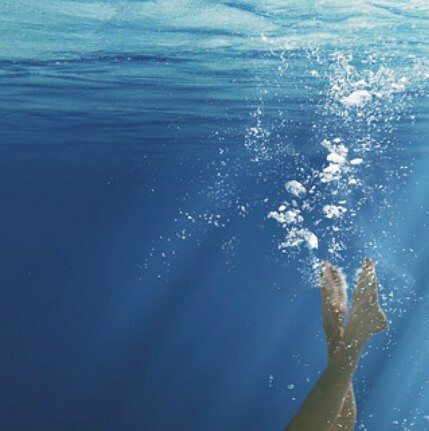 While others drawn so intensely to Judaism would likely convert, these non-Jews have chosen to remain outside the fold, believing that life as a Noahide is an end in itself, a way to be partners–if not quite equals to the Chosen People–in the divine plan for the world. Did you catch the key phrase? Let me quote it again. …these seven laws are but a starting point, the foundation on which they’ve built a lifestyle of obligations and voluntary observances. The result is a life every bit as rigorous and all-encompassing as Orthodox Judaism, which guides and structures all aspects of their existence. That’s saying quite a bit, and I don’t think a lot of Jews within Messianic Judaism would feel comfortable if their non-Jewish counterparts started living a life “as rigorous and all-encompassing as” an Orthodox Jew. Kress echoes other articles I’ve referenced saying that many or most Noahides come from Christianity. He also mentioned that the Rebbe, Rabbi Menachem Mendel Schneerson, believed it was incumbent upon every Jew to spread the word about the seven Noahide laws or “Sheva Mitzvot” to the non-Jewish world. He thought what would hasten the coming of Messiah was having both Jews and non-Jews doing God’s will. He may have been alone in that thought as it remains controversial and, to the best of my knowledge, most branches of Judaism adhere to the halachah that Jews have no such obligation to non-Jews. For many committed Noahides, that’s the biggest challenge the movement faces. Once they’ve given up their prior religious lives, immersed themselves in Jewish learning, perhaps even succeeded in hooking up with a local Jewish community, many Noahides speak of a lingering hole, the lack of an active and defined spiritual and ritual life. This is exactly my point. This is exactly the point for any “Messianic Gentile” or “Talmid Yeshua”. Like the Noahide, we do not have a lifestyle that is inherent to our faith. Like the Noahide, we’re not Jewish but we also aren’t traditionally Christian either, though we retain our devotion to Rav Yeshua (Jesus). Like the Noahide, we have “little or no active spiritual life, no prescribed ritual and liturgical life,” unless we borrow it from Jewish praxis, but that comes with a lot of trap doors. This is probably why so many in the Hebrew Roots movement are adamant that they are “obligated” to the 613 mitzvot of the Jewish people. They desperately want something that defines them relative to their faith, and they see those of us who believe the “one Law fits all” view is Biblically unsustainable as at least being in error if not actually hostile to the Torah. I don’t think this is a new problem. In the Nanos and Zetterholm volume Paul within Judaism: Restoring the First-Century Context to the Apostle, one or more of the articles it contains stated that the late First Century CE non-Jewish disciples of Rav Yeshua likely suffered from a similar lack of definition. If that’s correct, then one of the possible motivations for later groups of these ancient non-Jewish Yeshua disciples to split from the Yeshua-believing Jewish movement and manufacture the brand new Gentile-driven religion of Christianity, was the strong desire to be defined by their faith. They had no place in Judaism, so they created a place in a different religion. Unfortunately, this was maladaptive and ended up being a total disaster as far as Jewish/Gentile relations are concerned. Worse, the Gentiles kicked the Jews out of their own party, so to speak, by radically redefining the Jewish Messiah as the Gentile Christian Savior, and astonishingly requiring Jews to stop being Jewish in order to become devotees of their own King. Returning to the present, how do modern Noahides solve this dilemma? I quoted part of the answer above. 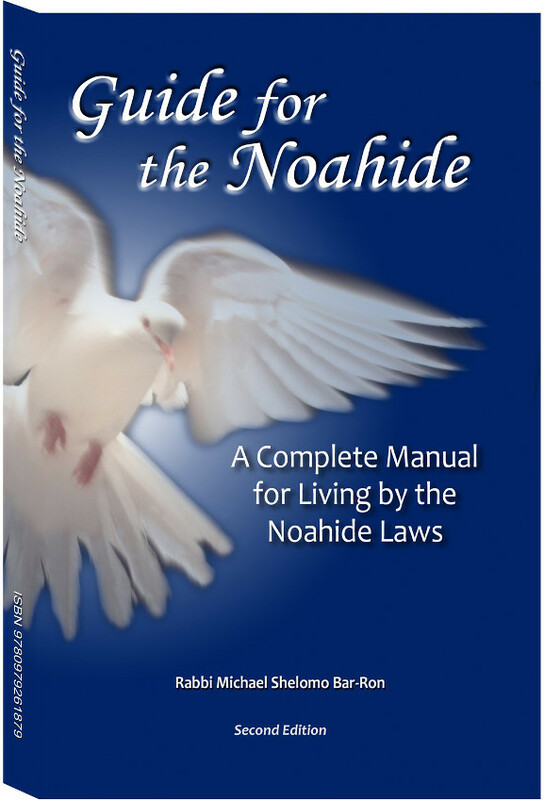 To fill the void–to transform this notion of Noahide law from a formless set of vague moral guidelines to a spiritually fulfilling lifestyle–Noahides have taken on themselves a host of what are known as “positive commandments,” the rituals and religious activities that infuse traditional Jews’ lives with structure, meaning, and spiritual foundation. These are not an inherent part of the Seven Mitzvot, but rather are voluntary observances to give their lives added spiritual meaning. As a result, a committed Noahide lives a life of intense study of Jewish texts, not only on the Seven Laws themselves but also on all other aspects of a Jewish lifestyle, to discern which rituals a non-Jew may and may not perform. Theirs also is a life of prayer, which usually includes reading Psalms, composing original prayers, and reciting traditional Jewish liturgy, altered to remove or adapt all mentions of commandedness and chosenness, to make clear that it is only Jews, and not the Noahides, to whom those concepts apply. They do just what has been suggested. They borrow from Jewish praxis, adapting ritual and custom for their own needs. There are two basic differences involved however. The first is that the practice is adapted from Jewish praxis rather than mirroring it identically. The second is the acknowledgment that said-observance is voluntary rather than obligatory. Some hang a mezuzah on their doors, others don’t feel it’s appropriate. Ditto with tzitzit, the fringed undergarment worn by traditionally observant men. Shabbat looms large in the life of any traditional Jew, but all Noahides agree that they should not observe the Sabbath in the same strict way as Jews. Since “observance” is voluntary, it makes sense that there would be variability of practice from one Noahide family to the next. Some might “keep” a form of Shabbos while others don’t. The same thing for mezuzah. I was more than surprised to find a mention of tzitzit since I was unaware that any Noahide would elect to don a tallit katan. Many people are working to give structure and clarity to Noahide life. In other words, to give the movement its “there.” Chabad and other rabbis, together with Noahides, are creating a Noahide siddur (prayer book) to standardize prayers, and a liturgy of lifecycle rituals, such as funerals and baby-naming ceremonies. Also in the works is a Noahide Shulhan Arukh, a comprehensive book of law pertaining to non-Jews, which will spell out specifically how Noahides should live, which mitzvot are acceptable for them, and which aren’t. There are also numerous Noahide organizations popping up, aimed at uniting Noahides, providing support, and spreading their teachings. I couldn’t help but notice that one such project to develop a Noahide Shulchan Aruch didn’t do so well. Perhaps Chabad will be more successful. There are also numerous Noahide organizations popping up, aimed at uniting Noahides, providing support, and spreading their teachings. For Messianic Gentiles, not so much. They/we are too fragmented, our theology, doctrine, and praxis are too variable. Unlike Noahides who, at least in an ideal sense, have Chabad as a Jewish authority upon which to depend, Messianic Gentiles have no central Jewish organization that can help to unite us under a single standard collection of resources. I suppose this could be a good reason why some Messianic Gentiles leave their faith and either join the ranks of Noahides or convert to Judaism. Frankly, although people are free to make their own decisions, I don’t think either option is advisable and certainly not necessary. Neither is co-opting the Torah for Gentile use without so much as a by your leave to the Jewish people. There are numerous mentions in both the Tanakh and Apostolic Scriptures saying the Messianic future will contain both Israel, that is, the Jewish people within their nation, and the people of the nations of the world, that is, the rest of us. For prophesy to be fulfilled, there has to be “the rest of us,” there has to be a body of non-Jews who worship Hashem, the God of Israel, and who are devoted to Rav Yeshua as the coming King. It’s incredibly easy for non-Jews to get lost in the world of Judaism and mistake it for the focus of our faith. I periodically quote my friend Tom who said, Don’t seek Christianity and Don’t seek Judaism, but rather, seek an encounter with the living God.” Although ritual and custom help to define our lifestyle as Talmidei Yeshua, they are just the means by which we practice our faith, they are not the target. God is. But like converts to Judaism and like Noahides, we just want to fit in and be accepted by our “parent” Jewish community (those of you who have one). However, the way to do that isn’t clearly understood, either by Jews or non-Jews in Messiah-faith. That means there is no one defined reality for our lived experience, at least in the realm of ritual and tradition. But it’s nice to know we’re not alone. Previous PostWho Were The Mixed Multitude of the Exodus?Next PostAre Christians and “Messianic Gentiles” Idolaters According to Judaism? Any Believer in Yeshua must go back to the statement of “grafted in”. Of course, this is Paul, and not Yeshua, so one wonders how seriously to take the statement, because people find it convenient to ignore Paul unless you are talking about Christianity…which is not really much like Judaism, much less Messianic Judaism. But Yeshua wanted all the world to be taught to be his disciples…doing as he had done, which since he was a Jew, means we Talmid Yeshua must add on what Yeshua taught…obedience to G-d, just as if we were grafted in to spiritual Israel. Of course, since we have little knowledge of what we as foreigners are supposed to obey, we just have to listen to the Ruach haKodesh, and do our best to add to our lives the mitsvot that are just, and moral, and good…to love G-d and to love our neighbor, whoever that is these days! Whether obedience to G-d for the foreigner included those mitzvot that set Israel apart from the rest of the world is part of a foreigner’s obedience to G-d is the essential question. If you are going to live in the future Kingdom of Israel, one adopts all the Mitzvot because it is part of civil and criminal law under a Sanhedrin if you want to be included in their society. Not all foreigners do want to be included, and not all Jews want foreigners to be included…in fact, the further one goes with talking to those who have converted, or have married in is that foreigners are not really welcome…not until three generations have passed, and people begin to forget that your grandmother was a ger toshav. Obviously, if you are born to a Jewish mother, you are Jewish. It is what makes you Jewish…to Jews and Pagans, and always has. Like the born Jew saying to the new convert…”But you’re not really Jewish. I mean I’m still more Jewish than you, right?”. And that is how people mostly feel, even if it is in contravention of their laws which state a convert is to be welcomed because of the love they bear towards Israel…so great a love toward YHVH and Israel that they wished to be adopted, and to live as Jews in a Jewish society. Jews might accept Noahides gracefully, because despite their adding on of Orthodox halachah, they don’t expect to be Jewish, to the point that even their prayers must be altered so that not even a hint of a claim to anything Jewish is made! To me a Noahide is merely a ger toshav who is avoiding a committment to the Mosaic Covenant. One is truly not accepted…ever, I think, and if it happens that you are well tolerated, it is because you are always proving how Orthodox your halachah is. I don’t think that acceptance and inclusion is worth that kind of proof. Yes, there are adoptive congregations of Jews truly loving and accepting of a convert, but they do not speak for all Israel, and never will. The only one who can do that is Yeshua, when he comes in glory. Until then, I will just do my best. It is all I could have done anyway. @Questor: Whether you see yourself as a Christian, Messianic Gentile (Talmid Yeshua), or a Messianic Jew, I don’t think you can avoid Paul (Rav Shaul). I understand that a traditional Christian and Jewish viewpoint on Paul makes him look pretty bad in terms of replacement theology and turning against his own people (including his Rav), but I think this is a problem of misinterpretation rather than Paul’s poor character. You might want to pick up a copy of the Nanos and Zetterholm volume Paul within Judaism: Restoring the First-Century Context to the Apostle (which I mentioned in the body of this blog post). Multiple New Testament Scholars refactor the Apostle back into his original Jewish context, which makes his letters a whole lot more understandable, pro-Israel, pro-Jewish people, pro-Torah, and pro-Temple. Paul’s gotten a bad rap specifically because of how the early Church Fathers and later Christian theologians misused Paul to reinvent Messianic faith as Gentile-driven Christianity. As I also mentioned relative to Nanos and Zetterholm, it is at least possible that “Messianic Gentiles” in the late Second Temple period were asking the same question about their identity, role, and praxis within (Messianic) Jewish community that we are today. While one model we have access to in modern times is that of the Noahide (although as I’ve mentioned hear and in my later “meditation,” even the Noahide often feels “undefined”), it may not be the final plan of God for us. We’ll have to await the coming of the future Messianic Kingdom for that one. James, Paul is probably the greatest commentator on First Century Nazarene belief, and how that is done by Gentiles in a Pagan world, for I think Paul did see just how difficult it was to get Jews to accept non-converting Gentiles, and vice versa. I agree with Paul that Gentiles should not convert, as it is not required of us, unless we wish to assume the Mosaic Covenant…a mostly foolish thing to do unless YHVH wishes you to do so. But Paul taught obedience as well as the grace being extended towards Gentiles…Christians seems to disregard that part in their relief at receiving grace, and their fear of legalism to the point that commandments and laws are dirty words to them. I merely find it a great pity that many Christians value Paul’s gospel of grace above Yeshua’s gospel of the Kingdom. Grace gets you into that Kingdom if Yeshua actually knows you as one of his flock…those that listen to his voice, and heed his word, trusting in him as the source of righteousness. 2 Happy is the person who does this, anyone who grasps it firmly, who keeps Shabbat and does not profane it, and keeps himself from doing any evil. I do not see Paul as other than an observant Jew, despite his easiness of custom in regards to Pagans not being overly scrupulous in regard to table fellowship, but his concern was not to cease being Jewish himself, or cease to be kashrut observing, but to get Pagans not to guilt each other over what they ate, any more than he wanted Jewish Believers under his teachings to nag the Pagans to convert. As best one can tell, Paul was teaching a modified Noachide observance to the pagans, with the amendments in Acts 15, and a reverence for Yeshua as our righteousness…our Mashiach. I´ve been reading your blog (and others) for a while now and I like it very much. I´m not part of the messianic movement, just a Christian, interested in learning about the jewish roots of my faith and correcting some false teachings in Christianity about the law and Judaism /replacement theology. I´m so glad to see Jews believing in Yeshua and living as Jews, but on the other hand I´m worried to read so much about identity crisis in this movement. I´m concerned to read about this Noahide movement, which denies Yeshua, even more to read, that some messianic Gentiles have lost faith in Yeshua (although I understand their struggle, I don´t mean to judge). I understand the difficulties of being in between Judaism and Christianity. searching people who Yeshua really is! that Yeshua provides the atonement for our sins, which we could never achieve on our own, neither by 7 Noahide laws nor by 613 laws! @Questor: A great many folks pit Rav Yeshua (Jesus) against Rav Shaul (Paul) without considering that it was Yeshua who commissioned Paul to be an emissary to the people of the nations (Acts 9). Paul had at least two visions of Yeshua, and it seems rather ridiculous that Yeshua would assign the task of taking the good news to the Gentiles to someone who would fundamentally contradict Yeshua’s teachings. It is true that Paul had a difficult time with the other Apostles, in part because Paul was the only Apostle who did not walk with his Rav while his Rav resided among human beings. I think the other problem was that Paul was teaching the Gentiles to have a praxis that looked “Jewishly” but wasn’t Jewish (to paraphrase something said by New Testament scholar Mark Nanos). It caused concern that maybe Paul was also teaching Jews to modify or disregard certain aspects of halachah. The problem we have is that 2,000 years separate us from Paul’s teachings and our little group represents an extreme minority in the body of Yeshua-believers who are actually attempting to reconnect Paul to his Jewish context that we might refactor his teachings back to what they originally meant to his First Century C.E. Gentile students. We can’t turn back the clock in terms of our modern religious practice and identity, but we can still attempt to learn what Paul was really saying. First though, we have to “unlearn” almost 20 centuries of faulty Christian exegesis on Paul. @Angelika: Welcome and thank you for your kind words. It’s not so much that I (and others like me) don’t have a rich spiritual life, it’s just that our religious practice as it relates to Jewish community isn’t well defined. That makes all the difference in the world. An individual without community has whatever practice they have. In community, either Christian or Synagogue, that praxis is, to some significant degree, defined by the community. This is as true in a church as it is in a synagogue. The reason I’ve been exploring the role of the Noahide in comparison with the “Messianic Gentile” is that they are the closest analog in normative Jewish community to who we are in Messianic Jewish community. It is problematic that Noahides deny Yeshua, but then again, Messianic Jews model their praxis on normative Judaism which also denies Yeshua. Nevertheless, Messianic Jews are Jews and, in my opinion and based on my understanding of scripture, Jews remain obligated to all of the covenants God made with Israel, including the Sinai covenant. The “lingering hole,” considering the context in which those words appeared, is the role a non-Jew should have within a community of Jews. As the article on Noahides pointed out, each Noahide individual or family has adopted whatever (Jewish) practices they feel comfortable with. 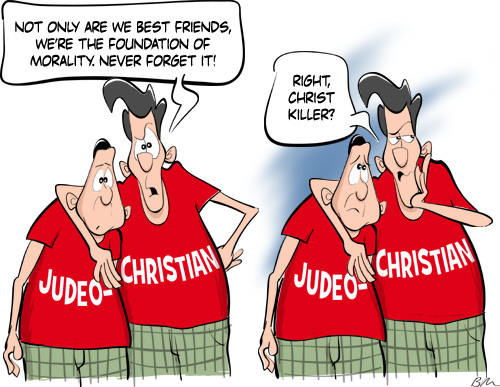 I believe the same applies to Gentiles in connection to Messianic Jewish community. As I’ve mentioned and as you’ve pointed out, it’s all too easy to get lost in the “Jewishness” of religious practice, which is why it’s important to take a giant step backward and refocus attention on Yeshua. A Messianic Jewish teacher once said “Yeshua is the boss,” and he’s right. I agree with you that we must concentrate and focus on the mediator of the New Covenant. I think though, that just about anyone, whether traditional Christian or otherwise, needs to have a framework in which to act out their faith, a set of behaviors that provide a structure for our day-to-day lives. In Judaism, that structure is exquisitely defined and that definition can seem very attractive to some, especially those who don’t easily tolerate the “dynamic tension” of uncertainty. 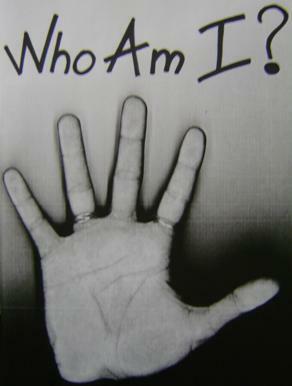 Several weeks ago, I wrote a blog post called What Defines the People of God. It was an attempt to put to rest a lot of that uncertainty and to focus on what’s important in terms of our lived response to God. I often ask questions, not just because I’m trying to answer them for myself, but because I know they are questions I have in common with others like me. I’ve been told more than once that the topics I bring up are issues these others have as well, so in a sense, I write blog posts to serve these people. True, from certain perspectives, the questions and some of the answers are disturbing and confusing, but leaving them unasked contributes to the sense of isolation many of us feel, not just from Jewish (or Christian) community, but even from each other. As much as God should be sufficient for us, we are still social creatures, and we long to share our lives and our faith with others. We also sometimes just want to “fit in” with our group. That can be difficult when we don’t have one. Please feel free to comment further and thank you for reading my humble missives. Thank you, James, for your reply. I agree with all you wrote. I appreciate you asking questions, I also have many questions and uncertainties, where I´m struggling for understanding. May the Lord bless you! If you want, I will pray for you, that you will find a community, even if only one good friend to share life and faith! Yes. It would be nice to hear Paul himself on people reading his letters in response to specific problems, and how later generations have applied his statements and advice to every non-specific permutation of the possible.